Started in 1968 in the erstwhile PG Centre, it now offers MBA, M.Com, M.Phil. and Ph.D. prgrogrammes. As a result of sustained research efforts of the staff and research scholars, the Department could develop specialization in the areas of Marketing, Finance, Accounting, Organizational Behaviour, Banking, Co-operation, Small Industry and Entrepreneurship Development and Rural Marketing. During the VIII plan period, the UGC has recognized ldquo;Rural Marketingrdquo; as the thrust area of the Department. The Faculty have completed 9 major research projects and 32 minor research projects. They have extensively participated and presented 283 papers in national and international seminars and symposia and published 425 papers in national and international journals. About 183 books have been authored/co-authored or contributed to by the faculty. Two teachers were honoured with the Best Teacher Award by the State Government. So far 150 Ph.D. theses have been produced and about 150 scholars are pursuing their research. It organized the All India Accounting Conference in 1980 and the All India Commerce Conference in 1992. 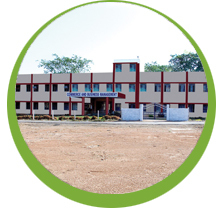 It has successfully conducted the State Level Common Entrance Test called ICET in 2006 and 2007.